In arguably the most awaited match of the I-League 2017’s opening weekend, the two time champions from Goa faced the oldest football club in the country. 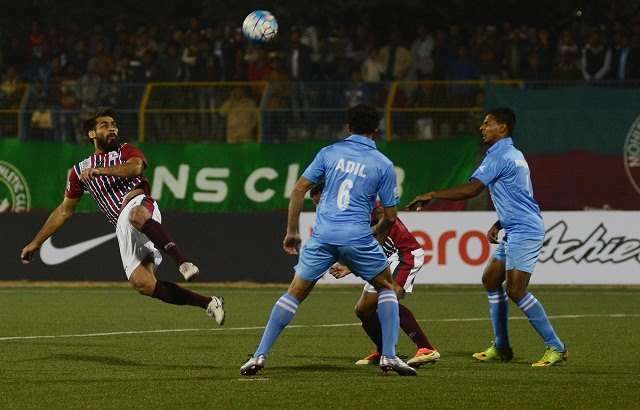 The match witnessed Mohun Bagan welcome their Goan rivals to Barasat Stadium, Kolkata. Hailed as one of the title contenders this season, the onus was on last season’s runners-up Mohun Bagan to clinch all the three points as they hosted the game. 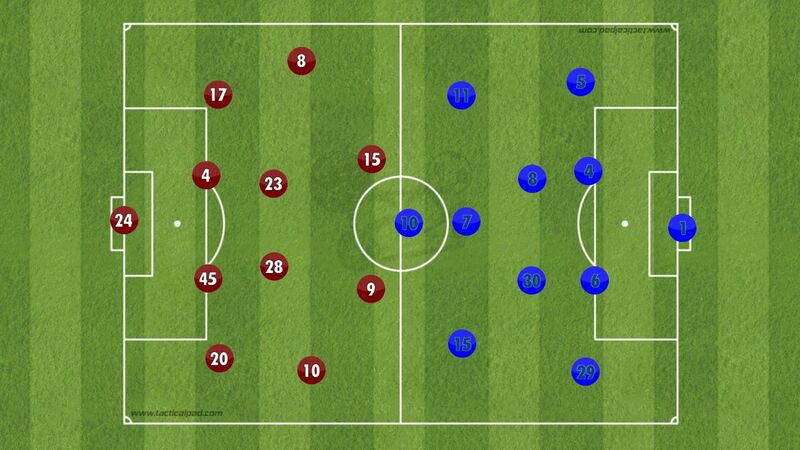 Mohun Bagan initially started the game in a 4-4-2 formation and Churchill Brothers on the other hand fielded a 4-2-3-1. The visitors came back to the league after a gap of four years and they fielded an all-Indian line-up while Mohun Bagan introduced four new faces in the team. Bagan, clearly the better side both on and off paper, started the game well. The Kolkata side created certain chances by breezing past the Goan defence. For a good 20 minutes from the kick off, the team from Kolkata dominated the ball. It was an inspiring first half for Mohun Bagan though they couldn’t create many telling chances in their attacking third. But their lucky charm Balwant Singh scored the opener two minutes after the half hour mark with a header. Kinshuk Debnath released Pritam Kotal and the full-back ran past his markers and played a delightful cross into the box. The striker was unmarked and he headed the ball into the goal of Priyant Kumar Singh. Chances were there for taking when Darryl Duffy missed a sitter. Subhasish Bose played a cross of similar style but from the left flank and Katsumi’s header fell for the Scotsman. He failed to convert it to goal as his shot was weak. Lewis made a positive impact in the game as he made brilliant runs down the left flank and played decent crosses into the box. One instance was in the 3rd minute when he brilliantly headed down a Yusa Katsumi free-kick only for Balwant to volley at a defender. As the game progressed he seemed to be very dangerous as his runs and crosses behind the Churchill defenders were asking questions. Churchill on the other hand seemed clueless in attack for the majority of the game. Churchill was one of the most feared forces of Indian football till a few years ago. They used to look very dangerous even with the slightest of chances and opportunities. But now things have changed. With no overseas player in their squad yet, the Indian players failed to inspire the team. They lack that epitome of a player in that squad. The first half was an appalling performance from them as they failed to test the opponent’s no 1. One of the four debutants for Bagan, Subashish Bose was sent off after receiving a second yellow for a harsh tackle on Seriton Fernandes in the 64th minute. This red card forced Sanjay Sen to introduce Prabir Das and Pronay Halder. After Mohun Bagan were reduced to ten men, Churchill took the initiative to attack. Despite a brilliant run from Seriton Fernandes and a lovely ball crafted, the danger was thwarted as there were no Churchill players to prod the ball home. In the last ten minutes, they did beget a couple of opportunities, but Debjit was alert in both the cases. Much should be said about Churchill’s strategy to slow the game when they were the trailing side. They maintained possession and kept the ball within themselves which frustrated the Bagan players. This led to them committing mistakes. Two such examples were Subasish Bose’s rash tackle and Sehnaj Singh being booked for another ungainly attempt to win the ball. 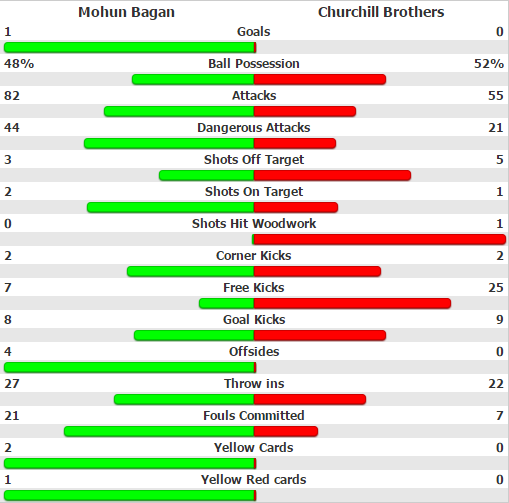 Bagan was given quite a run for their money when they were threatened by Churchill in the second half. With numeric superiority for the last 25 minutes, Churchill could have easily pushed for the equaliser. With Bagan forced to defend with everything they had, Churchill failed to find the killer blow. The result sends Bagan to second place in the table, below Bengaluru FC who have a higher goal difference in comparison. This outcome is a good one for Mohun Bagan as they should look forward to build from this victory to play well in the games to come and the rest of the season.